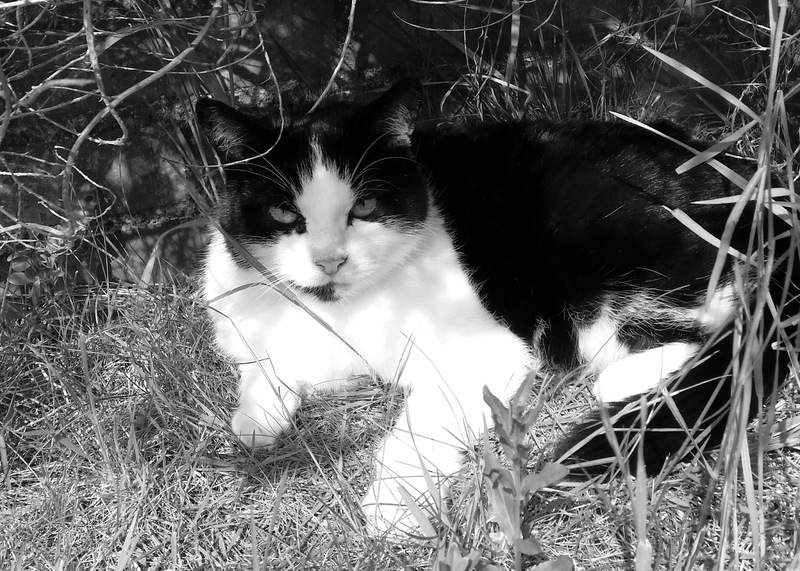 Dexter passed away on the night of Friday 15 May 2015. He was a rescue cat and we don't know his exact age, but we think he was about eleven years old. He died of severe anaemia. He had contracted feline immunodeficiency virus (FIV), most likely when another cat bit him a few months ago. The anaemia was likely to have been a complication from FIV. The picture below shows Dexter enjoying the sun on Monday. At the time, we had no reason to think anything was the matter. His end was very sudden; at least he didn't suffer for long. He will be cremated, and we will scatter his ashes in our back garden where he had so many happy times. I'll write more later about how much Dexter meant to us. For now, I just want to say he was the warmest, gentlest, most adorable feline companion anyone could ask for. We loved him very much. We will miss him terribly and remember him always. I have set up a Just Giving page for donations to the Blue Cross animal welfare charity in Dexter's memory.